While Willis Haviland Carrier is generally recognized as the ‘father’ of air conditioning, inventors have been fiddling around with the idea of cooling systems as far back as Benjamin Franklin. It’s Franklin, and Cambridge professor John Hadley, who in 1758 make the discovery that liquids which evaporate faster than water, like alcohol or other volatile liquids, have the pleasing effect of lowering the temperature of an object far enough to freeze water. Some sixty years later, English inventor Michael Faraday achieves the same result when he compresses and liquidizes ammonia. The first ice-machine is developed by Dr. John Gorrie in Florida in the 1830’s. He uses compression to produce ice and then creates a system to blow air over the ice to cool the hospital where he works. Recognizing the potential of the device, Gorrie patents his invention in 1851 with ambitious plans to cool buildings all around the world. Unfortunately, his plans fail due to lack of financial backing. It is the assassination attempt on President James Garfield in 1881 that leads to the creation of the first crude cooling unit. In an effort to keep their wounded President cool and comfortable, Naval Engineers create a box-shaped device filled with wet cloth and blow hot air over the top. This produces a flow of cold air closer to the ground. The device is capable of cooling a room by 20 F but incredibly, consumes half a million pounds of ice within two months. 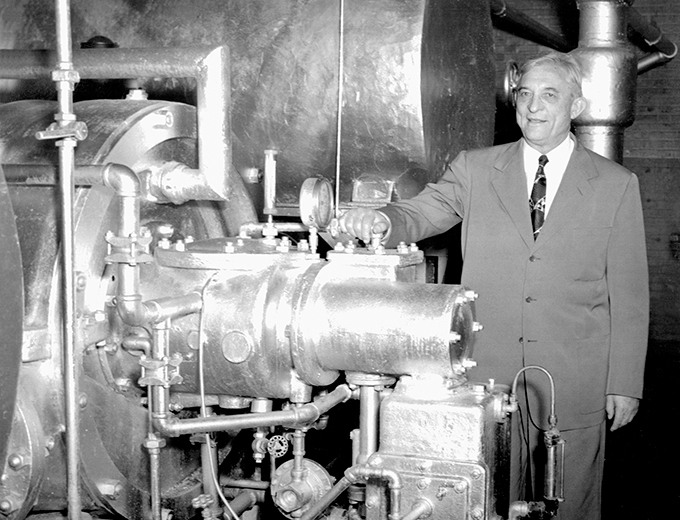 Willis Carrier first appears on the air conditioning scene in 1902. He invents an apparatus for treating air for a publishing company in Brooklyn, New York. Carrier’s machine blows air across cold coils thus controlling both temperature and humidity of the air inside the building. His device soon attracts the attention of factory owners and industrialists across the country and the Carrier Air Conditioning Company of America is born. The term ‘air conditioning’ is first coined in North Carolina in 1906. A textile mill engineer by the name of Stuart Cramer invents a ventilation system which produces a mixture of air and water vapor. The resulting increased humidity makes the yarn more pliant, easier to spin and less likely to break. In 1914, the first domestic air conditioning unit is fitted into the Minneapolis mansion of rubber and leather tycoon Charles Gates. The unit is a monster: 20 feet long and over 7 feet high. But Gates never lives in the house and the monolith is never used. The invention of the ‘window-ledge air conditioner’ by J.Q. Sherman and H.H. Schultz in 1931 marks the true beginning of the phenomenal rise of residential cooling systems. The design proved extremely popular, but at prices starting at $10.000 (about $120.000 in today’s money), the units were at first exclusive to the very rich. Packard is the first auto manufacturer to take the air conditioner on the road. Cooled automobiles appear in 1939 but the control mechanisms are still crude with the only access to the unit still under the hood. Dashboard controls come along a few years later. By 1942 the spread of air conditioners has gone viral and America builds its first power plant specifically to deal with the demand of summer peak usage. In the post war economic boom in the 1950’s, sales of residential air conditioners break the 1 million barrier for the first time. For a long time, nothing really happens in the world of cooling units. And then in the 1970’s the introduction of home ventilation systems changes almost overnight the face of air conditioning forever. Specially designed units draw air from outside, waft it over cooling coils and blow it through the home. By now the coolant of choice has become the R 12, aka Freon 12. 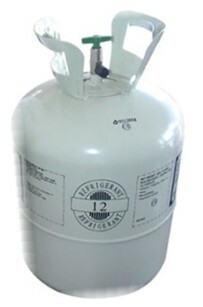 But in 1994 Freon is recognized as a major factor in the depletion of ozone levels and is banned in many countries. Auto manufacturers are also hit by the new ecological attitudes and are ordered to phase out ozone-depleting coolants by 1996. Forced to comply with world wide public opinion, companies like Carrier and Honeywell then begin the development of more environmentally friendly coolants. Today, Carrier’s legacy lives on. His spark of genius over a century ago has brought comfort to millions of people all over the world and increased global industrial productivity. Modern air conditioning is cost efficient and easy on the environment. So when outside it’s sweltering hot and we’re sat inside in our wonderful humid and temperate buildings watching the sidewalk melt, let’s spare a thought for Willis Haviland Carrier’s really ‘cool’ idea.